There were April Fool's jokes all over the world yesterday. This is TIME's listing HERE and this is another one from thrillist.com - it has a video with a toggle between a British and American accent. There is a chart in wikipedia with the months and days of the year along a horizontal grid and you can click on the day/month and it links to the page of events for that day. Could there be a day that turns out to be the most interesting day of the year? CNN claims that October 3rd stands out as a busy day in history in this article HERE. We can find out the opposite - April 11, 1954 is claimed to be the most boring day of the year and it got a lot of coverage in the newspapers. "Using complex algorithms, such as how much one piece of information was linked to others, True Knowledge determined that particular 1950s Sunday to be outstanding in its obscurity. Cambridge University-educated Mr Tunstall-Pedoe said: "Nobody significant died that day, no major events apparently occurred and, although a typical day in the 20th century has many notable people being born, for some reason that day had only one who might make that claim - Abdullah Atalar, a Turkish academic. The irony is, though, that - having done the calculation - the day is interesting for being exceptionally boring." 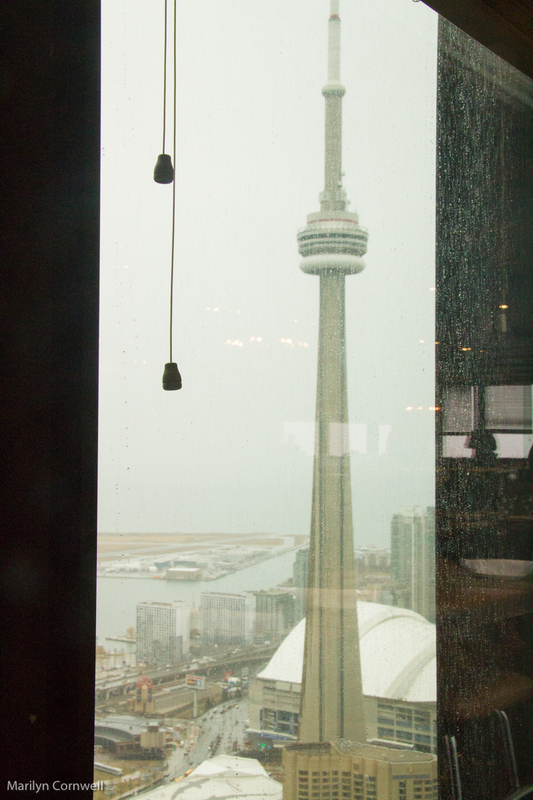 One of the distinctions of the restaurant Canoe is its location at the top of the TD Centre - with great views all around - this one is of the CN Tower. 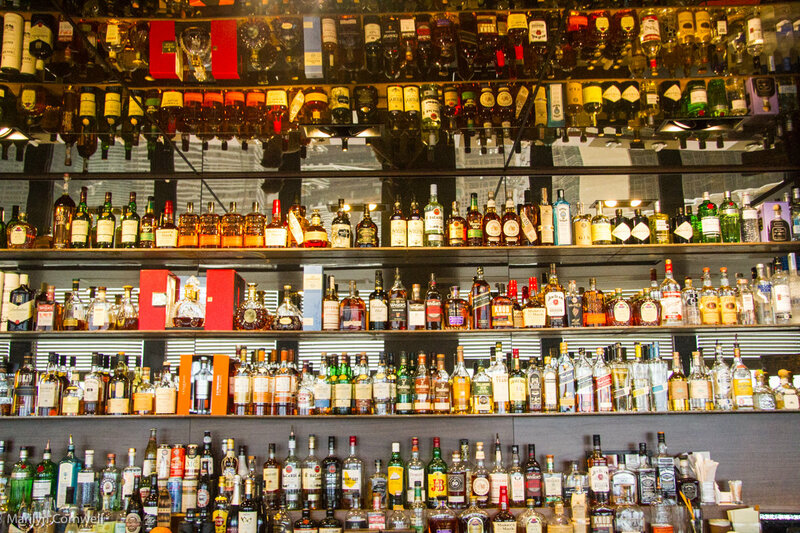 We were looking out from the bar, and I turned around and saw the wall of bottles, reflected in a ceiling mirror.